The Italian Renaissance was a period of rapid development both in the arts and also in technology. Musical instruments of course represent both aspects of this explosion of creativity. Viols from this period are very diverse, from the earliest paintings of instruments which can deﬁnitely be categorised as viols, to surviving examples of sophisticated instruments with violin-like arching of both their fronts and their backs. These viols have plain gut strings throughout (loaded gut bass strings may also be a possibility). and an anonymous great bass, in private ownership in Genoa. All of these viols were made by high status master makers working in the cultural centres of Northern Italy during the second half of the sixteenth century. The viols do not exactly match each other, but they have certain elements of their designs in common that bring them together as a family: they are all “guitar” shaped, they all have fully carved “violin-type” fronts, and all except the treble also have arched backs. They have proved to work well in consort with each other, and make a luminous, somewhat reedy, but fundamental-rich sound that particularly appeals both to Philip and myself, and which he will make use of in forthcoming recordings and performances with his group “The Intrepid Academy”. The picture at the top of this page shows a ﬁve string treble viol, after the style of one made by Giovanni Maria da Brescia in Venice before 1590. The original is in the collection of the Ashmolean Museum, Oxford. 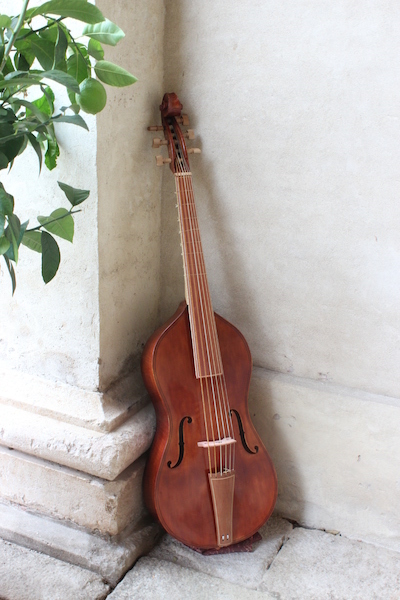 The second picture shows a great bass viol in A, after an anonymous sixteenth century Italian instrument now in a private collection in Genova. 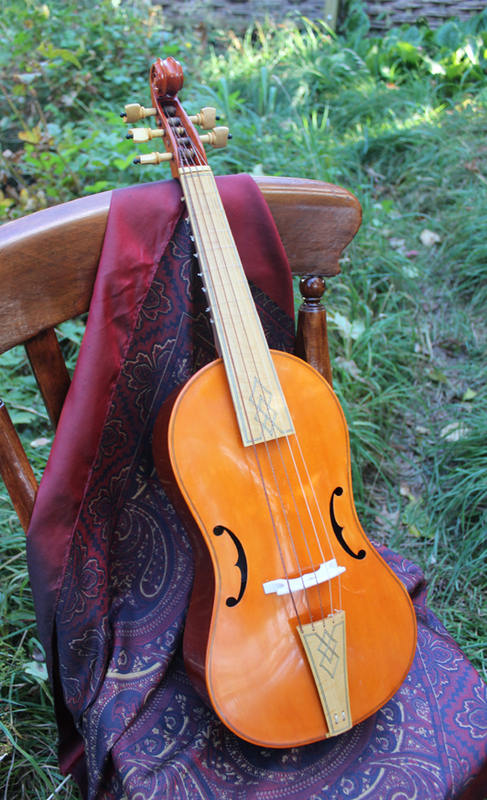 The third picture is of a bass viol after Antonio Brensio, and the last picture is a bass after Gasparo da Salo. Five string treble, after Giovanni Maria da Brescia.